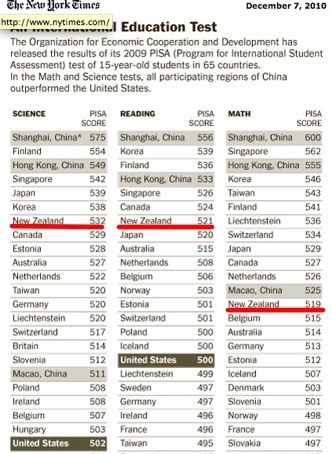 In an article in the NYTimes that focuses mainly on Shanghai’s stellar results we find a table, and in that table we find NZ’s education test results. This is the PISA test of 15 year olds. I’ve often said that NZ has a good average education, while the USA has a much wider distribution, and a lower average. This bears some of that out. Obviously we’d be much better off further up the table, especially for mathematics. Interesting to see how low the UK is. Having lived there for a bit, it’s no surprise…..
I’d like to see how we could turn this into economic success – any ideas? Nope – but it’s one of several enablers for long term economic success. 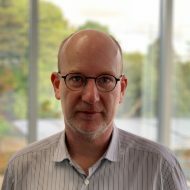 We still need to lift the standards, and starting with paying for performance would be good.